As I was pondering how to write this, I was thinking how America would not be free, if first it wasn’t for God who orchestrated to be and for all those who died for this country as many died for what freedoms we have now. 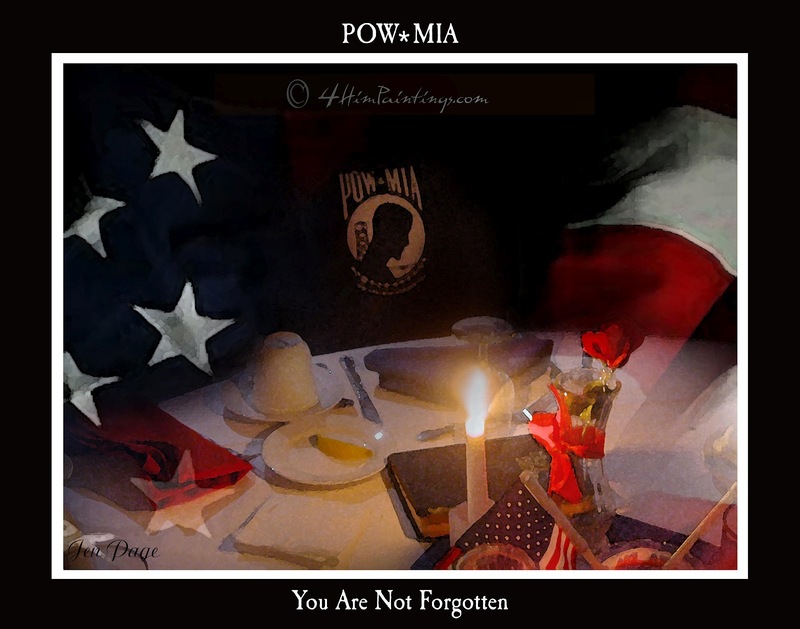 I’m reminded that freedom isn’t Free as a sacrifice was made in order to get that point. 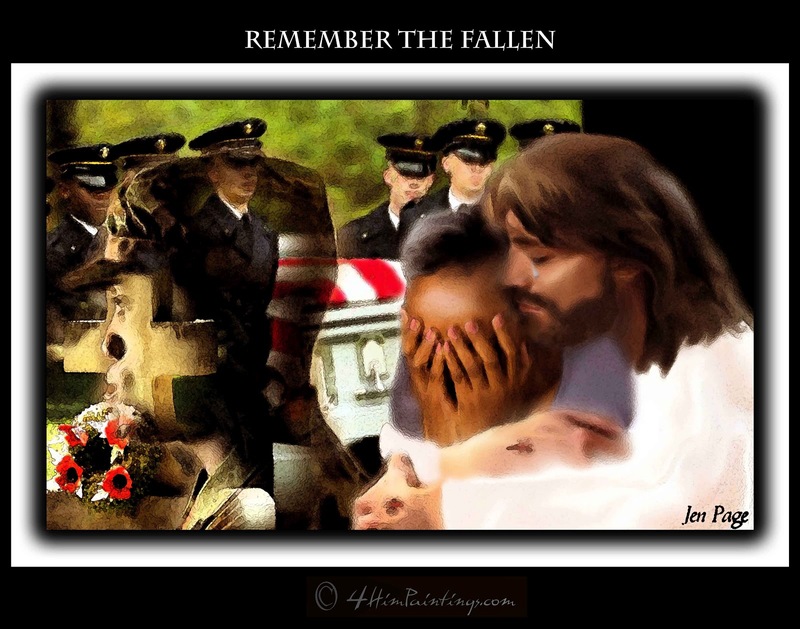 From the military men and woman who died in wars past to Jesus who died for our own personal Freedom. As through His death we are spared from eternal death by believing in him and following His ways having a relationship with God through Jesus Christ. As I believe when we are given this Freedom to which we currently have in America and what we eternally have in God. We have the opportunity to do well with that Freedom. Even if you’re in a country right now that isn’t Free, you can still gain a Freedom that no one can take from you. Jesus Christ who died in your place can give you this Freedom. You will feel and see a difference in your life when you accept Jesus Christ as your Lord and Savior. Going back to the point of Memorial Day to those who are grieving now because of a loss of a loved one from the acts of war, God sees your pain and He is here to comfort you, to heal your heart where your loved one took that place in your heart while they were living. No one else can really understand your suffering accept for those who being through it and God himself. For God the father who seen the suffering of His son Jesus die in our place, and the suffering of many die around the world through past, present, and future. God who sees also feels, and feels your suffering, And He is also the answer to ease your suffering and give you peace. Today we Honor those who gave their life for Freedom. Thanking those who gave their lives for the cause of Freedom. Thanking Jesus Christ who died for us to give us eternal Freedom. 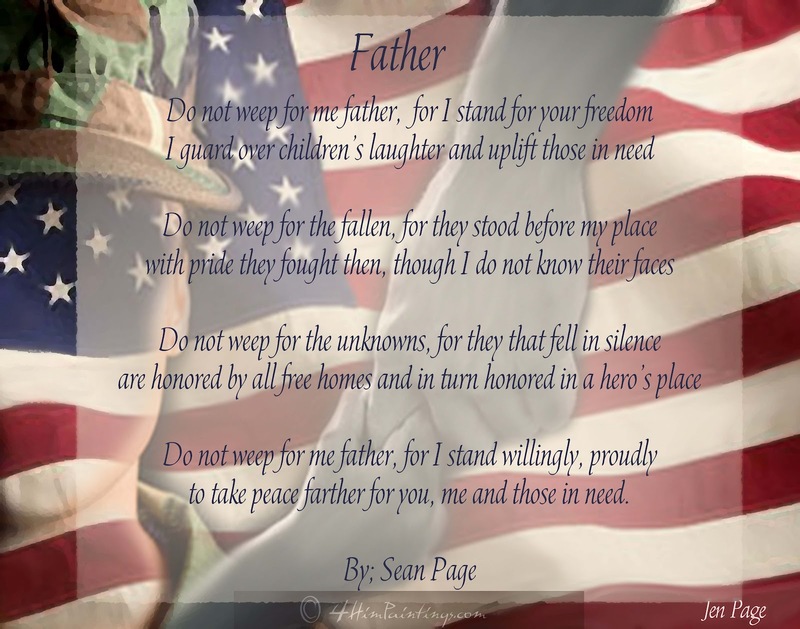 The illustrated poem on the bottom of this blog was written by my husband Sean Page who is a Veteran of the Iraq war. Though it wasn’t His own country ~Iraq that my husband fought for Freedom, He fought for a cause of Freedom for those suffering within that country. Today, Iraq has a Freedom that was not known in a long time before “Operation Iraq Freedom “war started. And it was through the sacrifice of many who died, or who sacrificed in other ways that only families and soldiers can personally express. Their death was NOT in vain for Freedom was the purpose and Freedom began. Though Iraq today isn’t perfect in Freedom, It is still better now than before. So I honor those who fought for human rights of Freedom. 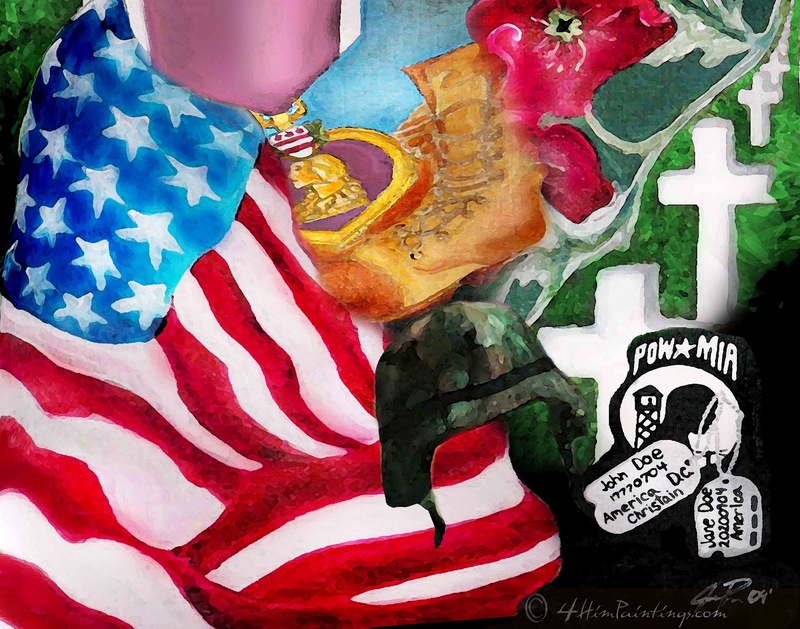 Honor those who died for the cause of Freedom whether in this country they died FOR or for those who died for another country in the cause of freedom. So I say: Thank you to all who died for the cause of FREEDOM. Freedom isn’t Free; a cost was made so I can be Free. I thank him who died for me, who hung on a cross and set me free. He took my place instead of me. Jesus ~ fighting all wars for me, past, present and future be ~eternally to set me Free. Thank you Jesus for your love for me, for Freedom reigns inside of me. To take peace farther for you, me and those in need.